Let’s say your students want to do a report on Einstein. If they do what my students do, they type “who is Einstein” into Google, pick out Wikipedia, and go from there. But all of those searches are horribly broad, covering EVERYTHING about the keyword. 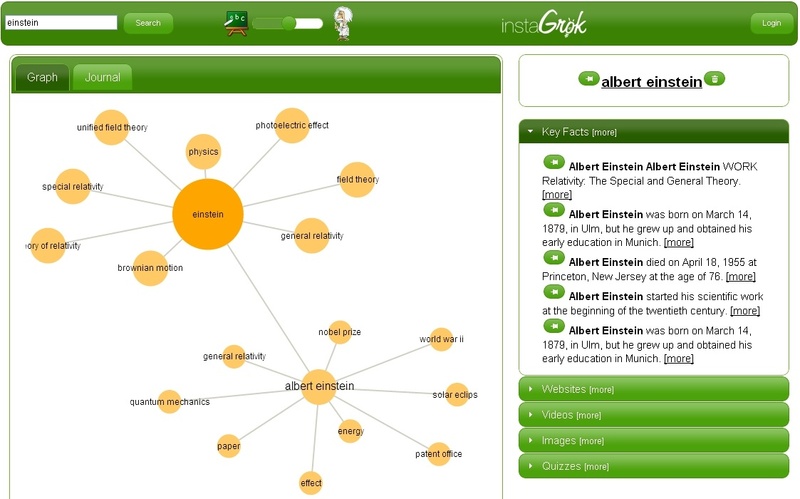 Instagrok puts the search results into a movable graphic organizer, breaking down subjects related to your search and listing the associated sites along the side. If you are inclined to sign up for their deluxe service, you can “pin” the articles you want into a document of all of your collected and annotated notes. This could be a great resource for research projects, allowing students to really think about their subject and narrow down what it is that they want to know.